Judge extends injunction to prevent QNI liquidators from losing control of liquidation. 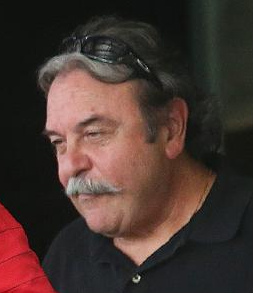 Domenic Martino: photo courtesy Townsville Bulletin. The four FTI Consulting partners managing the liquidation of Queensland Nickel have had a tidy win in the Supreme Court of Queensland after applying to extend an interlocutory application preventing Domenic Martino and China First Pty Ltd from interfering in the various proceedings the liquidators have on foot against interests associated with QNI’s ultimate owner, Clive Palmer. The FTI four are suing Palmer’s Mineralogy for $105 million. They have a further $91 million in claims proceeding against Palmer or related entities. Mineralogy’s defence of those proceedings was due to be filed with the court by May 8. On May 3, Palmer appointed Martino as controller of the assets of QNI pursuant to a charge created between China First and QNI five days prior to the FTI four being appointed as voluntary administrators (VAs) of QNI on January 18, 2016. On May 4 Martino attempted to bind QNI to a compromise by entering into a deed of settlement with Mineralogy. The terms of the deed of settlement included QNI relinquishing its $105 million claim in exchange for no consideration and agreeing to releases and discharges so broad that Justice John Bond described them as potentially encompassing “all officers, employees, agents and related bodies corporate of the party being released”. Such a breadth of releases would probably include Palmer’s errant nephew Clive Mensick, whose whereabouts are currently known to be not where QNI’s liquidators want him. In the short term however the FTI four needed an injunction to prevent Martino from undertaking any course of action while they awaited a hearing on their challenge to the validity of his appointment. Martino and China First as respondents said an injunction was unnecessary. Damages was all the recourse the FTI four would need if their suit succeeded. Justice Bond was having none of that. “The notion that damages might be an adequate remedy, in a context where Mr Martino has already purported to interfere with the liquidation pursuant to which Queensland Nickel seeks to recover $105 million and threatens to be capable and legally entitled to do so in respect of any other asset apparently owned by Queensland Nickel or any other enforcement litigation that it might be proceeding with, seems to me to be ridiculous,” the judge said in Queensland Nickel Pty Ltd (in liq) v Martino  QSC 95 (18 May 2017). “I accept the submission advanced by Queensland Nickel and the general purpose liquidators that, absent the interlocutory injunction, the risk of prejudice to the orderly conduct of liquidation and the efficient administration of justice is very real. “It seems to me that damages are not an adequate remedy. There is a public interest in officers of the Court being permitted to perform their duty without interference from a person purporting to act under a charge the validity of which is and has been, before they purported to act, the subject of serious dispute. The judge agreed to extend the injunction until the hearing on the question of Martino’s appointment. It’ll be interesting to see what Palmer comes up with by way of reply. Litigation is, after all, an activity he’s previously described as a favourite pastime. Be the first to comment on "QNI judge dispenses with Martino “interference”"